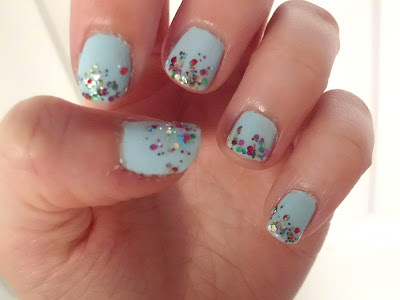 GotToLove♥: Party On My Nails. There are so many gorgeous effect polishes going around at the moment, I keep having heart attacks when I go into Boots or Superdrug and see the glittering, sparkling and shining polishes. I just love how different all of the brands are making their products! My favourite has to be OPI- The Impossible, as shown as I come into some money I will be buying it! So as I love these polishes so much I decided to use one today! This is from the W7 range and is called Multi Glitter. I thought this would look gorgeous layered over the top of a light blue, so I chose Sheer Blue, again from W7. Love these nails, my mum really wants me to do this for her! 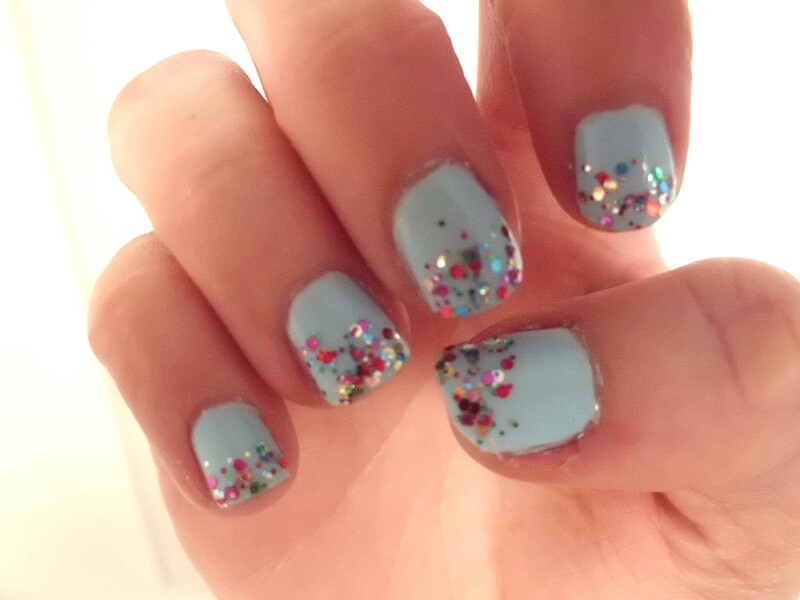 Let me know your favourite glitter polishes and leave me links to any posts of your nails! Speak soon, becciixx.